This beautiful soundfront home located in exclusive Hatteras Landing offers comforts and conveniences with wrap-around porches and an elevator that serves all three levels of the home. The panoramic sound views from every level will take your breath away. Covered entry under the house takes you to the game room with both pool and foosball tables, TV, and a wet bar with full-size refrigerator. 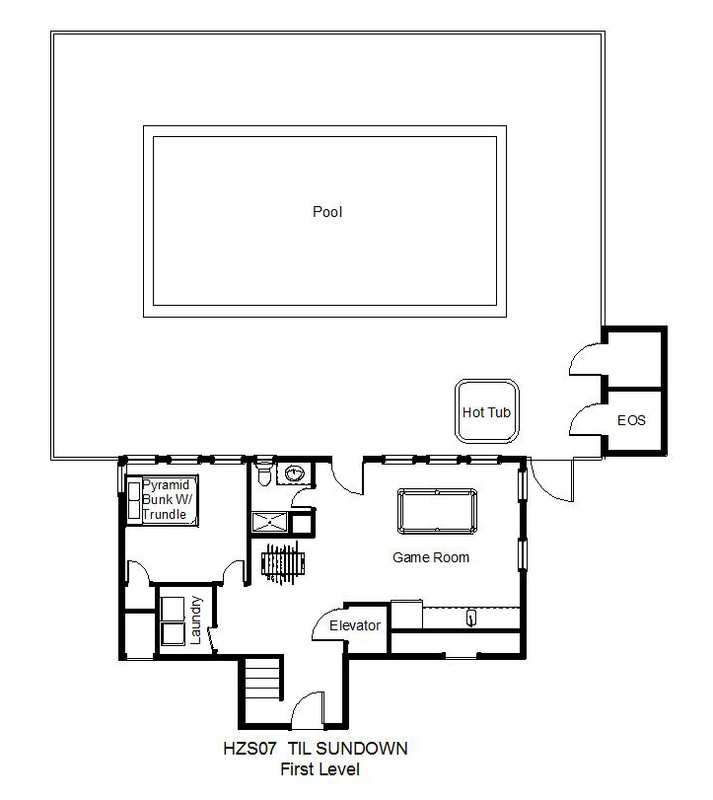 A pyramid bunk bedroom shares a full bathroom with shower stall that also opens onto the game room. The laundry area is also on this level. All bedrooms throughout the home have TVs so everyone can enjoy a little privacy and quiet time. 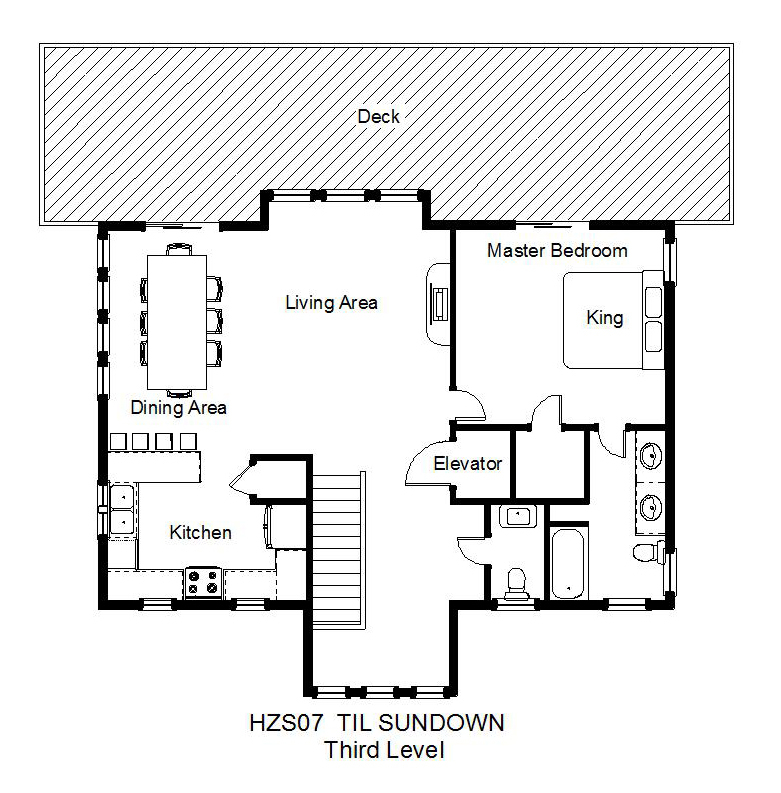 Four master bedrooms are on the middle level. Two queen bedrooms open onto the shaded wraparound deck with spectacular sound views. 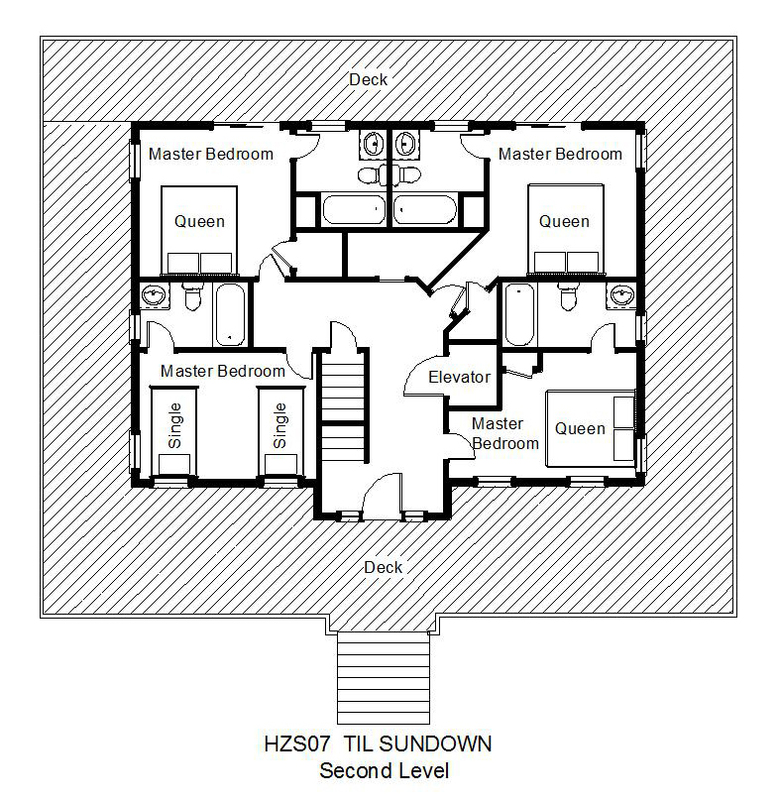 A third queen bedroom and a bedroom with two single beds are also on this level. Awesome water views abound from the open living, dining, and kitchen area on the top floor with convenient half bath. Enjoy family feasts around the large dining table and breakfast bar, or cozy up in front of the gas fireplace on cool off-season evenings. Curl up with a good book on the window seat in the comfortable nook. The king master bedroom on this level features a spacious private bath and opens onto the spacious sundeck, where you can take in a spectacular sunset while planning your next day’s adventures. Splash in the private pool, soak in the bubbly hot tub, or take the stairs from the pool area down to the calm, shallow waters of the Pamlico Sound for kayaking, kiteboarding, and crabbing. Spend your days exploring Hatteras Village, where you will find boutique shopping, fine dining, and several marinas for charter fishing trips, all within an easy drive or bike ride. Surrounded by these numerous amenities you are sure to have a blast each day from sunup… Til Sundown! What date in 2019 will the pool at this property be open and available for use? Pool dates have not yet been determined for 2019. Unheated private pools are available from May 4 to October 11, 2019. Make sure it has heat for pool if that is what you are renting for ! Your own private beach on the sound awesome!! !